Orb banishes evil with the power of light! This SH Figuarts portrayal of Ultraman Orb Spacium Zeperion represents his initial form. The head was created with the assistance of Tsuburaya LSS from a scan of the actual mask used in filming of the Ultraman television show. 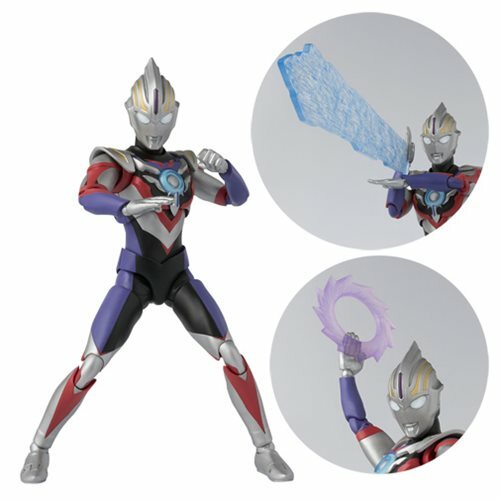 The Ultraman Orb Spacium Zeperion SH Figuarts Action Figure includes 4x pairs of optional hands, an optional Color Timer, Zeperion beam ring effect parts, and Zeperion beam effect parts. Measures about 5 9/10-inches tall. Ages 15 and up.